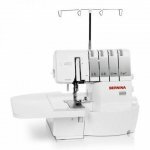 Learn all of the ins and outs, and wonderful capabilities of your BERNINA Embroidery machine! Class is free if you purchased your machine from QQ, please call to sign up. Using Shannon Cuddle and Embrace double gauze, stitch up this simple, mitered-corner blanket in no time. Come learn all of the wonderful things your wonderful new machine can do! The walking foot does far more than stitching in the ditch! Create a beautiful flower garden with this block of the month applique pattern for machine embroidery. Join our hand embroidery social club and stitch away the evening! 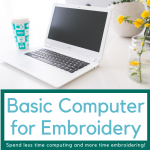 Spend less time computing and more time embroidering! 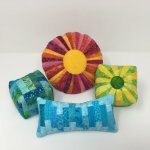 Pincushions are fun to make and take only a small quantity of fabric and supplies. 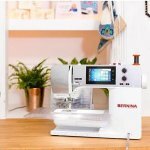 Learn a different BERNINA embroidery technique each month with Ann Williams. Tackle those UFOs in a fun and friendly class with Celeste. 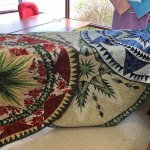 Come join the homemade jelly roll rug craze! Master the 3B's of completing a quilt top. Get started on your first quilt! 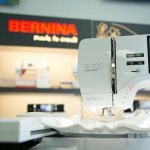 Learn how to properly care for and maintain your BERNINA machine. Hand piecing rocks! 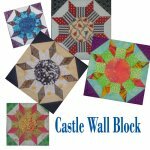 Join Mickey for a slow speed workshop covering hand piecing tips for the Castle Wall Block. 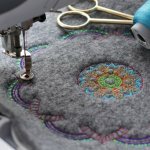 Build your confidence in machine embroidery and learn to enjoy embroidery success! Join our hand embroidery social club and stitch away the afternoon! Learn all of the tips and tricks to make beautiful basic bindings. Dress up your table for summer with these cheerful Watermelon Placemats. 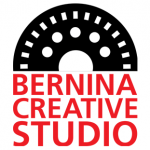 Learn tips and techniques from Ann and BERNINA Creative Studio! Create a new lunch bag just in time to go back to school (or work)! 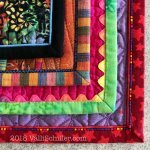 Use Judy Niemeyer's innovative paper piecing methods to complete this stunning quilt which is much simpler than it looks. Highlight a special conversation print in the center of this simple block that gives the impression of intricate piecing. Enjoy a relaxing session of instruction, and share tips and tricks with fellow handwork lovers! 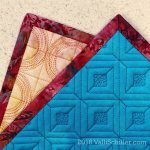 Add a new technique to your free-motion quilting repertoire! You have had the basics, now move to the next level. 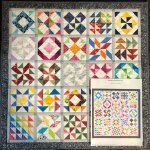 Join Sue for this series of hands on classes that will walk you through making your own version of the Frisson quilt. This class will train you in half square triangle accuracy. 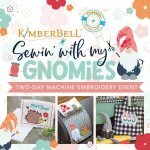 Join Lisa Klingbeil and fellow serger enthusiasts for a new project every other month. Change the appearance of a tuffet that you?ve already made by adding a slipcover. 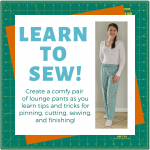 Create a comfy pair of lounge pants as you learn tips and tricks for pinning, cutting, sewing, and finishing! Learn how to successfully incorporate bobbin quilting into your projects and how to use metallic threads to add extra sparkle. Mighty Nice Bindings - by Machine! Learn two different machine binding methods from Valli Schiller. Learn the basics of turned-edge, invisible machine appliqu? using the freezer method as you make a 14" x 20" flower block. 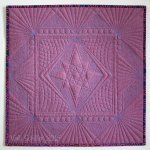 Learn the basics of how to design quilts and blocks using EQ8 software. Create this beautiful tuffet in whatever fabrics you choose! 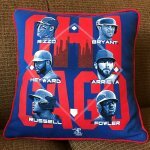 Transform an unused T-shirt into a piped pillow! 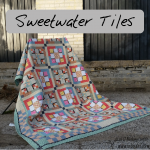 Featherweights are so popular with quilters and you can do most of the maintenance yourself! Just what do all those funny sewing machine attachment things do? Come to class and find out! 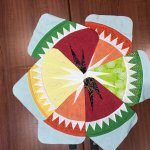 Pick your favorite Quiltworx tree skirt pattern and join Celeste and Susan in this two day class to get a head start on your holiday sewing. Fancy Piped Bindings - by Machine! Give your quilt a stylish finish and save the hand stitching for another day. 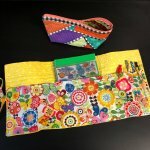 Join Pam for three days of summer sewing. Inserting a zipper doesn't have to be scary! Carol will teach you to five different ways to insert zippers with ease. Let's get together and create pincushions!! Learn to paper piece this modern quilt! Versatile clamshell based quilting designs look complex, but are surprisingly easy to free motion quilt using grids and simple circles for marking. 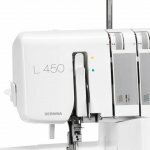 Come learn all of the wonderful things your wonderful BERNINA Serger can do! Class is free if you purchased your machine from QQ. 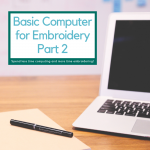 Learn how to embroider and construct a tiling scene.